Having a clear understanding of the principles of project management is fundamental for those wanting a career in the profession. It is after all these project management principles which provide the foundation to every project which is managed and correlates quite closely to the project scope triangle. Having a clear project scope statement which details the project scope is a clear and unambiguous way is one of the vital principles of project management. Of course this is alot easier said than done, which is why so many projects suffer from scope creep and never end up delivered. The timeframes on a project are always tight , but for successful project management, a project manager must know how to get projects delivered to really tight schedules and project time and cost. You need to be able to think laterally and be a creative problem solver to do this. However with the Credit Crunch these are becoming more and more vital to have as project schedules are tightened further and further. There is project quality which I would take to mean, having quality code and an end product which works as required. There is also the whole project quality plan which deals with the documentation part of project management. This is important but the reality is that any Organisation would take quality code and a product which works over and above faultless paperwork and a duff deliverable. This is probably the least important of the principles of project management. 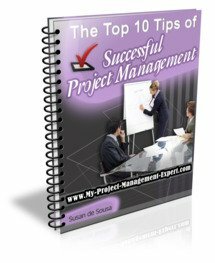 The reason being that whilst you will be asked numerous questions and exception reports should your project be forecast to go outside stated tolerance levels in the project initiation document, the reality is that if your project is imp;18ortant enough, the money will be found to increase your project budget. So keep a close eye on your budget, but remember that as long as you have good reasons this can be increased if you make a compelling enough argument. In reality these skills merely help you in delivering your project, but if for example you are clueless in Microsoft Project and can only knock up a plan on a piece of paper, you will still successfully deliver as long as you ensure the principles of project management above are adhered to.